All kind of service providers. Almonds are 4% water, 22% carbohydrates, 21% protein, and 50% fat. In a 100 gram reference amount, almonds supply 579 calories. The almond is a nutritionally dense food (table), providing a rich source of the B vitamins riboflavin and niacin, vitamin E, and the essential minerals calcium, copper, iron, magnesium, manganese, phosphorus, and zinc. Almonds are a moderate source of the B vitamins thiamine, vitamin B6, and folate, choline, and the essential mineral potassium. They also contain substantial dietary fiber, the monounsaturated fat, oleic acid, and the polyunsaturated fat, linoleic acid. Dried apricots are an important source of carotenoids (vitamin A) and potassium. Due to their high fiber-to-volume ratio, they are sometimes used to relieve constipation or induce diarrhea. Drying is the healthiest way to preserve and have apricots available for consumption during all seasons. Dried apricots are a good source of fibers, vitamins A and C, as well as iron. Drying is the healthiest way to preserve and have apricots available for consumption during all seasons. Dried apricots are a good source of fibers, vitamins A and C, as well as iron. Seerab with 20+years experience in field of GIS offer its experience and knowledge to effectively and within time complete a project on international standards. Having worked with multinational and national organizations Seerab offers high quality Consultancy services that in Pakistan never offered before. Seerab Skills Trainings offer customized trainings in GIS, CAD, BIM, Geo Analytics and Data Visualization. Whether you are a student or Professional and need to enhance your skills in above mentioned domains Seerab helps you learn and master professionals skills by completing a project so at the end one should not only learn tools, techniques but the science behind it to complete the project. These customized trainings are offered online and in-house. These trainings offered to corporate also who plan to develop/upgrade their staff skills. Innovative Seerab Maps for Real Estate help users visualize, analyze, identify, locate and verify housing societies even plots while sitting anywhere in world using smart phone/laptop. 14 cities major housing societies covered including Gwader. Seerab Maps Pakistan’s most prestigious P@sha ICT Awards 2018 winner, Uberpitch Competition Islamabad Winner and Khadija Awards 2019 winner. Seerab Maps offer transparency to Buyers/sellers/investors by verifiying the housing society exact location which was previously missing. Companies are based on what you exactly and may also depends on your corporate structure. Name availability is the first step towards Company Registration in Pakistan. Company Names are permitted based on on Company Type. Go to https://eservices.secp.gov.pk/eServices/NameSearch.jsp and type company name that you are planning for your company. 2. If the proposed name of the company is available, then the second step is to apply for company name reservation. For name reservation, go to SECP website create the user login and start the name reservation process. Follow the steps as directed. 3. The third step in company Registration in Pakistan is to make an application to the registrar of companies for the availability of name. The application can be made both online and in offline mode and normally takes a period of one to two days before confirmation of the name applied for new company registration in Pakistan. Before making an application to the Securities and Exchange Commission of Pakistan for company registration please do not forget to do Company Name Search on the Securities and Exchange Commission of Pakistan website. Once the name is confirmed you can proceed with the process of company registration in Pakistan. 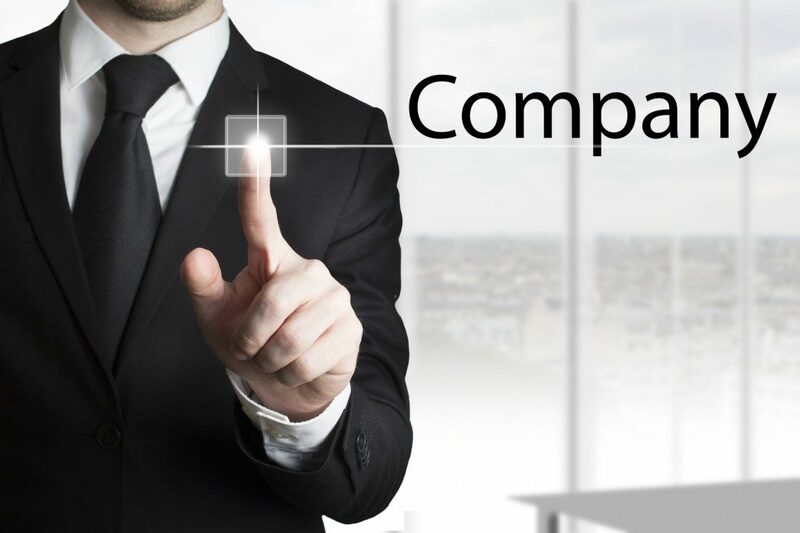 Company Name Reservation is the first process in company registration. Only a successfully reserved Company name allows its holder to proceed to further available processes. The company kinds vary with respect to their role in the corporate sector and each kind/type has attached to it various requirements which are required to be fulfilled for further incorporation with SECP. These requirements are in terms of the composition of its board of directors/members, the organizational arrangement and the services which the company will render. A drop down list having different company types is present with the use of which a desired type is selected during the course of the company name reservation process. A list of designated bank branches in major cities of Pakistan is made available here for the client to select from. These bank branches are designated for collecting the compulsory fees against various processes under the Companies Ordinance. The Fees are paid through challan at the designated bank branch and submitted at the selected CRO. A detailed input about the client is provided in this section which includes his/her Name, CNIC, Telephone, Address and Email information. Modification (if required) regarding previous steps can be made by clicking at the provided links. A New document can be attached. eServices will require the attachments to be in PDF format only unless any other format is especially specified along with the attachment field. Bank Challan is attached and submitted. There are few types of companies and you should go for the type which suites your business needs best. Every type has its own pros & cons. This word may be included in the name of companies to be established on grant of license by the Commission under section 42 of Ordinance or which are established as a Trade Organization under Trade Organizations Ordinance, 2007. These words may be included in the name of companies to be established on grant of license by the Commission under section 42 of Ordinance. This word may be allowed in the name of company if the company will function as Non-Banking Financial Company under the license of Specialized Companies Division of the Commission or to public sector company on grant of license by the Commission under section 42 of the Ordinance. This word may be included in the name of companies to be established on grant of license by the Commission under section 42 of Ordinance. Moreover, this expression is also allowed to Sports Association and Professional Bodies. This word may be included in the name of entities which are being formed as Trade Bodies under license under Trade Organization Ordinance, 2007, from Director General Trade Organization, Ministry of Commerce Government of Pakistan. This word may be included in the name of REITs to be established on grant of license by the Specialized Companies Division of the Commission. These words may be included in the name of companies involved in Insurance, Assurance, Re-insurance and Reassurance business. Prior permission of Insurance Division of the Commission would be required at the time of Incorporation. This word may be included in the name of companies desirous to engage in the business of Paper &/or Board or to public sector companies. This word may be included in the name of companies to be established by the relevant agency. These words may be included in the name of companies on the basis of permission from State Bank of Pakistan undersection 8 of the Banking Companies Ordinance, 1962 and section 5(1) of Microfinance Institutions Ordinance, 2001. These words may be included in the name of companies having charter from the sovereign authority of the Federation and the Province. These words are only allowed in the name of Stock Exchange, Commodity Exchange and Exchange Companies subject to NOC from relevant authority. These words may be included in the name of companies only if NOC of familiar trade name user is provided or proper documentary evidence of ownership/use of trade name is furnished by the applicant. These words may be included in the name of companies if proper justification and approval of relevant authority is provided. This word may be included in the name of Sports Federations licensed under section 42 of Ordinance or trade bodies under Trade Organizations Ordinance, 2007. This word is allowed in the name of company with the approval of the Commission, if the proposed company has a connection or any patronage with Federal Government. This word may be included in the name of companies if use of this word implies several companies under single corporate ownership and applicants have to provide evidence of subsidiary/associate relationship with two or more other Pakistani Companies. This word may be included in the name of company which establishes that it qualifies to be a holding company as defined in Section 3 of the Ordinance i.e. the company has object clause showing its intention to act as holding company after incorporation. This word may be included in the name of Non-Banking Finance Companies, REITs and brokerage houses or any public sector financial institution or investment company. This word may be included in the name of Non-Banking Finance Companies. Name availability is the first step towards Company Registration in Pakistan. Following words and phrases are not allowed to be taken as part of Company name while registering your Company / Business in Pakistan under Companies Ordinance, 1984. · These words may be included in the name of companies on the basis of permission from State Bank of Pakistan undersection 8 of the Banking Companies Ordinance, 1962 and section 5(1) of Microfinance Institutions Ordinance, 2001. · Modification (if required) regarding previous steps can be made by clicking at the provided links. · A New document can be attached. eServices will require the attachments to be in PDF format only unless any other format is especially specified along with the attachment field. · Bank Challan is attached and submitted.